In China the concepts of religion and god(s) are somewhat different to those in the west, where we have been heavily influenced by Judeo-Christian monotheism. The meaning of tiān also extends to include “the heavens”, in the quasi–religious sense. When ancient Chinese spoke of the “will of heaven” and “the mandate of heaven” they used the word tiān. 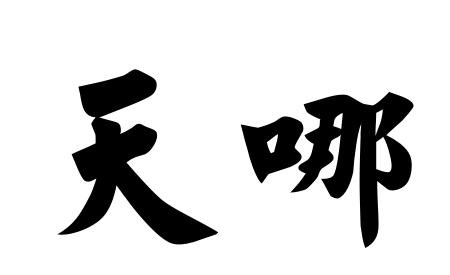 Na 哪 is simply an exclamation, it doesn’t actually have any meaning on it’s own. Na can be seen as a verbal exclamation mark. Chinese has lots of words like na, particles that can alter or enhance the meaning of a sentence but don’t actually translate into English on their own. Another good example is ma, which is like a verbal question mark that turns a statement into a question when you put it at the end of a sentence.